Q: What white water do you see ahead for you and your team? And how will you navigate through it? 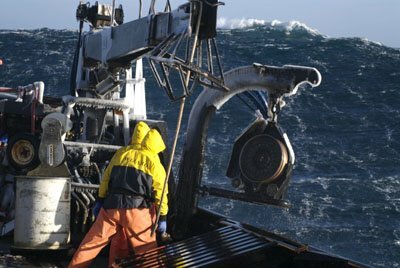 A: I was watching Deadliest Catch last night, yes I like that show, and one of the captains was encountering 20-30 foot waves due to a massive storm. He said the only way to get through rough waters is to push the engine as hard as it can go (full throttle) into the wave, otherwise the wave controls you. Whether it is communications or any other profession, you have to be prepared for the rough waters ahead of you; and when those rough times come you have to be ready to give it your all. The best way to do that in my mind is to watch communication, business, and technology trends. In the nautical world looking for trends is keeping your eyes and ears open to changing conditions. Things like reading maps, learning about tides, wind speed, and listening to weather reports are just some of the ways you can prepare yourself for changing conditions. If you aren’t looking and listening to the trends around you, your vessel may not be able to weather the storm. I’d also say whenever possible make sure you have a clear strategy for where you are looking to go and have a good team on board with you. If your craft leaves port without a plan for where you are headed there is a very good chance you and your crewmates will be lost at sea.